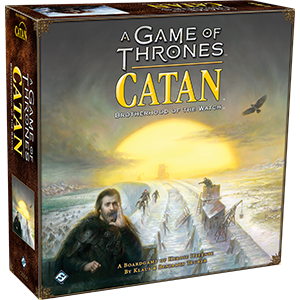 The battle to defend the Realms of Man begins in A Game of Thrones Catan: Brotherhood of the Watch, a new strategic game designed by Klaus and Benjamin Teuber and grounded in the engrossing world of George R. R. Martin’s A Song of Ice and Fire series. Take the Black. Defend Westeros. Become the Lord Commander.